What is included with new tires? What is (and isn’t) included with new tires? New tires are expensive. So if you’re thinking about how to maximize the value and benefits of your tire purchase, we don’t blame you. It's also reasonable to be concerned about additional or unknown costs. Let’s dig into the basic details of a new tire purchase so you know what to expect. You may be staring uphill at the cost of new tires, but you won’t have to spend anything extra to get them where they need to be for installation. Free delivery to a local installer is a great benefit of shopping with TireBuyer.com. We have over 9,000 installers in our nationwide network, so there are plenty of options. During checkout, you’ll have the option of selecting an installer by zip code. Choose an installer near you, and we’ll deliver your new tires to that tire shop – free of charge and sometimes even with same-day delivery. You’ll receive an email from TireBuyer with your installer’s information so you can contact them and schedule your installation appointment. So as far as the delivery and logistics of new tires go, we’ve got you covered. No additional expense, no headaches. Free returns – new tires aren’t exactly what you were hoping they’d be? You can return them for free, up to 45 days after the delivery date, for almost any reason – even if you’ve driven on the tires. Guaranteed installation rates – we guarantee that the installation rate you see at checkout is what you’ll pay at the tire shop. If there’s any discrepancy, contact us and we’ll refund the difference. Installation satisfaction guarantee – we also promise that you’ll be happy with your TireBuyer installation experience. If you’re not completely satisfied, just get in touch and we’ll make things right. You might be thinking – “New tire warranty, right, whoop-de-doo…” But hang with us because tire warranty benefits are getting better and better. Along with the standard warranty benefits like a full treadlife warranty and the workmanship & materials warranty, 30- to 45-day satisfaction guarantees and roadside assistance are becoming increasingly common. 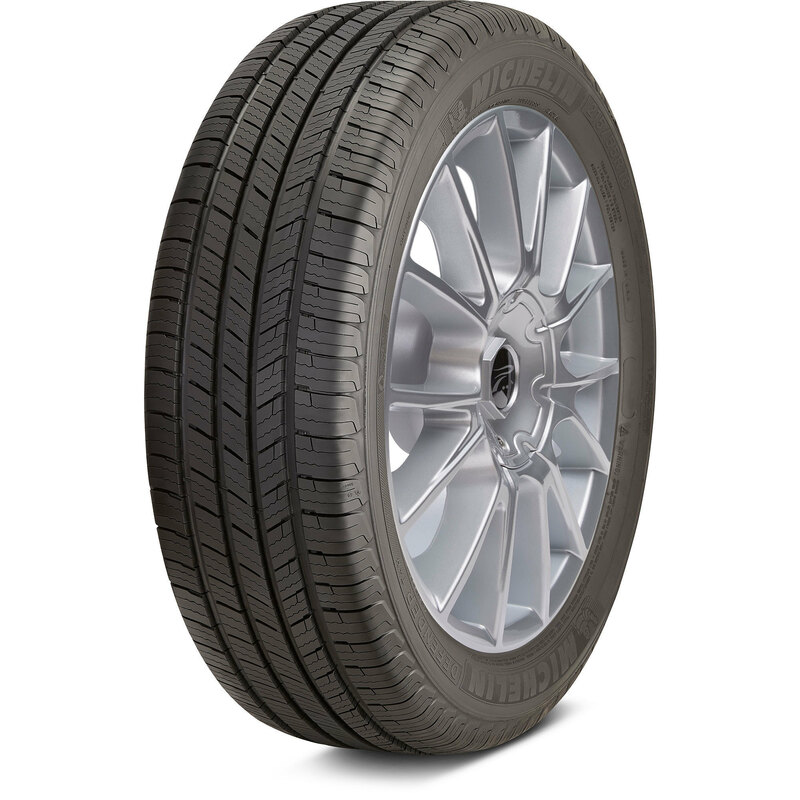 For example, Michelin offers a 30-day satisfaction guarantee and three years of flat tire changing assistance on most tires, and the Michelin Defender T&H has an 80,000 mile treadlife warranty. When purchasing new tires, make sure to read up on all of the available warranty benefits, and fill out the required warranty paperwork so you can take full advantage. So what isn’t covered as far as services? What other costs are there along with the new tires? You’ll have to reach for that credit card once more at installation time. Once the tires are with the TireBuyer installer, and the actual service is underway, there’s the installation cost. Tire mounting and balancing is the one mandatory, unavoidable additional expense that comes with new tires. A serviceperson will uninstall your current tires and dispose of them, then mount and balance your new tires. Sometimes we get asked whether tire balancing is required – it absolutely is, even for new tires. The mounting and balancing cost will depend on the type of vehicle, size, and type of tire. As we mentioned earlier, we guarantee the installation rates on our site. If your vehicle is equipped with a Tire Pressure Monitoring System (TPMS), then special attention needs to be paid to these components, and the fee per wheel/tire could be slightly more. If your vehicle is equipped with TPMS, the components inside of the wheel will be evaluated during installation. If any of the sensors are damaged, or if your TPMS dashboard light is already illuminated, then the problem should be resolved during the new tire service. The TPMS may need a refurbishment kit, or the sensor may need to be replaced entirely (additional cost). Alignment service is optional at the time of tire installation, but we think it’s an ideal time to make sure your vehicle’s steering and suspension components are aimed correctly – especially if your old, dismounted tires are showing uneven wear due to misalignment. You certainly wouldn’t want to develop uneven, premature wear with your new set of tires. Get more information on vehicle alignment, and why an alignment service at the time of tire installation is worth considering. This is a great time to have your brakes checked, oil changed, or discuss any other maintenance concerns with your installer. If you’re not prepared to get additional services at the same time your tires are installed, you can ask for a detailed written quotation. The installer might offer alternative payment methods as well, like 90-days same as cash. Hopefully you now have a clearer picture of the services, costs, and expenses associated with a new tire purchase – as well as the many benefits of purchasing tires from TireBuyer. If you have questions, or you’d like help finding the perfect set of new tires, just give us a call at (866) 961-8668.